Blaire will set you back over $100, and that doesn’t count the accessories, which are extremely detailed and often small enough that they act as caltrops when left out for the unwary. I think my wife thought I’d get amusingly upset about the whole thing, but I can’t do that any longer and besides, I like the idea that the hot new role kids aspire to is “farm-to-table chef.” That’s a step up in terms of the options available in the category: “doll occupation” when I was a kid. So if you were wondering how I felt about the new American Girl doll of the year, the answer is: feh. 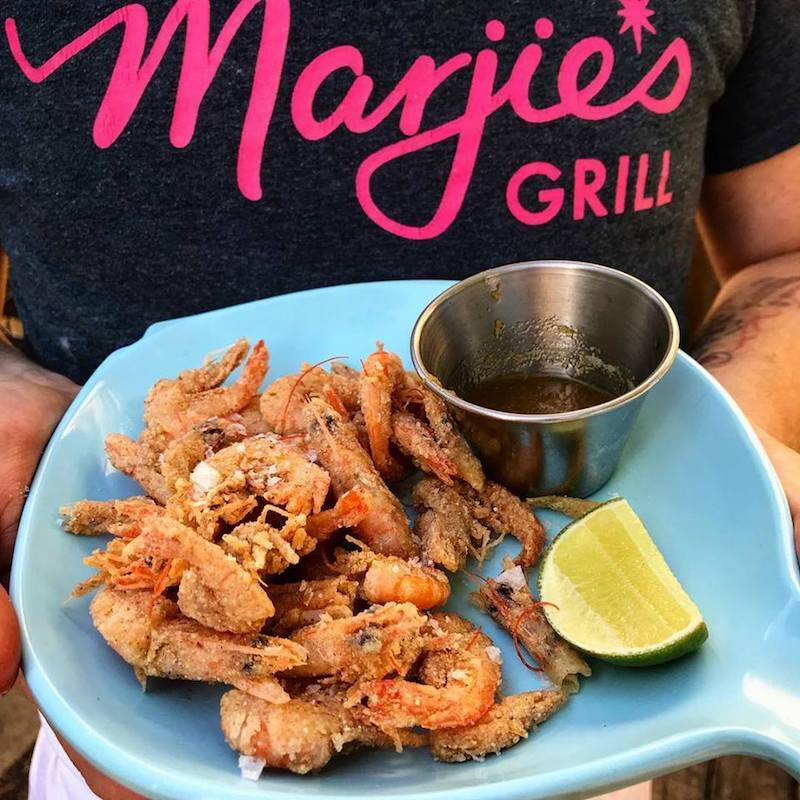 If you are wondering how I feel about the tiny fried shrimp at Marjie’s Grill, the answer is: hell yes. Friends invited us over for New Year’s Eve, and someone brought some of those shrimp. I tried a couple, and as I write it is Jan. 2 and I have only recently finished eating another order of those shrimp along with a Som Tam salad that I also picked up this evening. Ordinarily I think of you, dear readers, before myself. In this instance, I failed you. I did not take pictures of either the shrimp or the salad before I consumed them. I ate them quickly. The salad was crisp and funky, a bit tart and a bit sweet. The carrots and radishes came through, and the marinade/dressing was delicious. I could have done without the quartered limes, but it didn’t take much to remove the slices as I came across them. It’s difficult to describe the shrimp except to say that they are small, fried, eaten whole and seasoned with not a lot more than salt and black pepper. My wife does not like shrimp. Obviously, she is a heretic and should suffer, but when I eat this dish, I almost feel sorry for her because this was one of the best bites I had last year, will undoubtedly be one of the best bites I have this year, and I highly recommend it to all right-thinking people. The rest of you lot can piss off. Also, Happy New Year! May 2019 be filled with shrimp!